Google launch this year chrome book, but it comes with some selected laptop, but now you can make your own laptop a chrome book or how to install chrome OS on a laptop or PC. Here is a little post How To Make Your Laptop Into A Chrome Book, hope you like it. 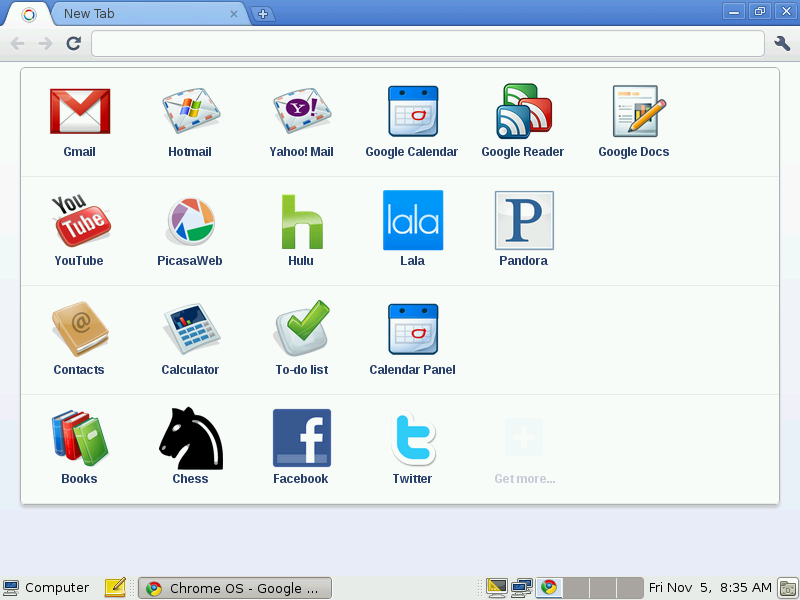 Google Chrome 17.0.932 web browser New! Google Music Manager 1.0 New! To switch to GNOME Shell, just go to Terminal and type: gnome-shell –replace or choose it at logon. So if you have an old laptop and you are not liking book Windows or Linux then install the Chrome OS on it to make your laptop into Chromebook.